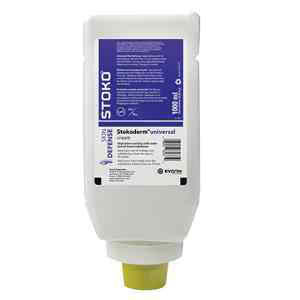 Catalog: Stokoderm® Universal Skin Defense 1000 mL. 4/Case. Forming a protective barrier that keeps unwanted substances from penetrating the skin, this all-in-one skin cream guards against water- and oil-based substances as well as other stubborn contaminants. 1000 mL. 4/Case.